Sometimes, several model elements that related to the current model element(s) are hidden for various reasons. These related model elements, in fact, can be revealed through the feature of visualize related model element. 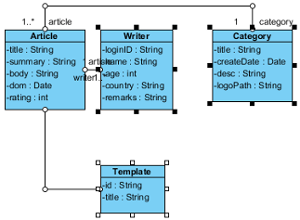 With this feature, the relationship between model elements can be viewed thoroughly. 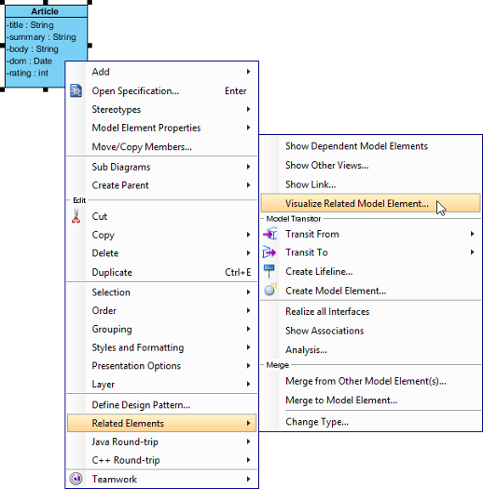 Right click on a model element and select Related Elements > Visualize Related Model Element... from the pop-up menu. 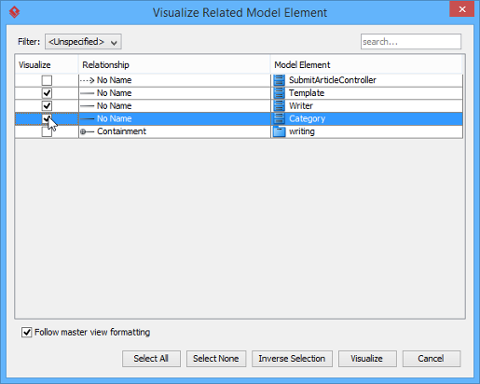 In the Visualize Related Model Element window, check the related element(s) you want to be shown with the corresponding relationship on the diagram in Visualize. Click Visualize to proceed with. As a result, the related models with connectors are shown on the diagram.